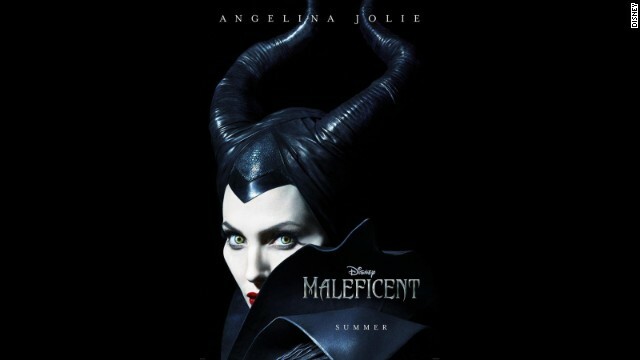 Angelina Jolie is positively "Maleficent" in the live-action movie's first trailer. The 38-year-old Oscar winner is at her baddie best as the evil mistress in Disney's re-telling of its classic "Sleeping Beauty" story. Rather than focus on Aurora, the princess antagonized by Maleficent, the 2014 update is all about the villain as it explores how she came to be so wicked. The teaser trailer released on Wednesday doesn't tell us much about how exactly it's going to present "Sleeping Beauty" from Maleficent's point of view, but it does introduce its main stars: Jolie as Maleficent, her youngest daughter, Vivienne, as a toddler Aurora, and Elle Fanning as the princess in her older years. The film, directed by Robert Stromberg, arrives May 30, 2014. Looks like Hillary's 2016 campaign is off to an early start. Love the horns. Angelina can do anything.....cannot wait for this movie.....time for another academy award. Disney should do a movie depicting the loveable Cheney's early days; after all, he started out JUST LIKE Maleficent. Wow? Is the 3pm trolling over already? Hope so. The smell was getting pretty bad. Nope, just taking a break for beer n b0ng hits. Do I make you h o r n y? Yeeeeeaaah, BABY! You know, I love Disney...the parks, most of the movies, etc but sometimes I wonder who decides what gets made and what doesn't. They have missed so many opportunities and I hate to say it but Maleficent hopefully will end up being a good movie but did anyone think that maybe it has a similar plot to Wicked? The Pixar part of Disney seems to be able to even make a bad idea turn out good. Then you look at John Carter, Prince of Persia (and many more) and ask why did these get through? I saw the play Wicked, it was so good. It made ya look at the Wiz of Oz in a whole new way. I'm not a big AJ fan, but, I will check this movie out. All the kids are doing it - it's the new fad!